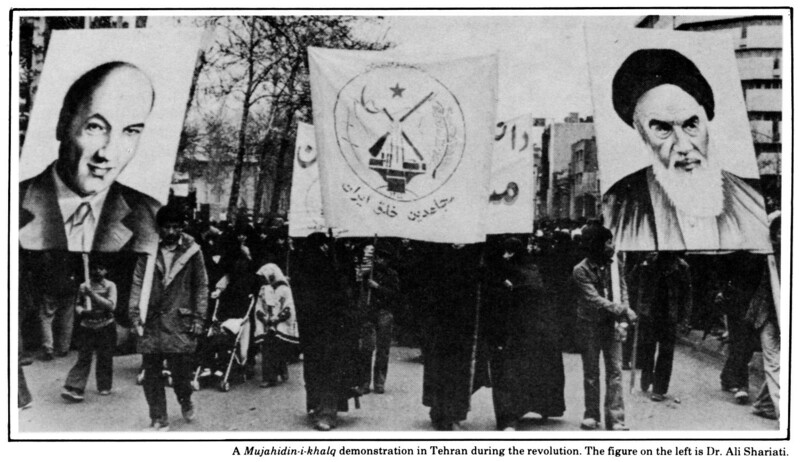 Halliday addresses the current protests as if they are the result of a “return of the repressed” of the supposedly more revolutionary aspirations of the 1978–79 toppling of the Shah, characterizing the Islamic Republic as the result of a “counter-revolution.” In a recent interview published in the Platypus Review #14 (August 2009), historian of the Iranian Left Ervand Abrahamian characterizes the present crisis in terms of demands for greater freedoms that necessarily supersede the accomplished tasks of the 1979 revolution, which, according to Abrahamian, overthrew the tyranny of the Pahlavi ancien régime and established Iranian “independence” (from the U.S. and U.K.). Originally published in The Platypus Review #14 (August 2009). A slightly revised version was published in The International Journal of Žižek Studies 3.4 (2009). 1. In particular, see Danny Postel’s Reading Legitimation Crisis in Tehran: Iran and the Future of Liberalism, 2006; Fred Halliday’s “Iran’s Tide of History: Counterrevolution and After,” OpenDemocracy.net, July 17; and the Marxist-Humanist periodical News & Letters, as well as the web sites of the U.S. Marxist-Humanists and the Marxist-Humanist Initiative. 2. See Žižek’s “Will the Cat above the Precipice Fall Down?,” June 24 (available at http://supportiran.blogspot.com), based on a June 18 lecture at Birkbeck College, London, on “Populism and Democracy,” and followed by the more extended treatment in “Berlusconi in Tehran,” London Review of Books, July 23. 3. See Hitchens, “Don’t Call What Happened in Iran Last Week an Election,” Slate, June 14. 4. For excellent historical treatments of the Islamic Revolution and its local and global context, please see: Ervand Abrahamian, Iran Between Two Revolutions (1982) and The Iranian Mojahedin (1992); Maziar Behrooz, Rebels with a Cause: The Failure of the Left in Iran (2000); Fred Halliday, “The Iranian Revolution: Uneven Development and Religious Populism” (Journal of International Affairs 36.2 Fall/Winter 1982/83); and David Greason, “Embracing Death: The Western Left and the Iranian Revolution, 1979–83” (Economy and Society 34.1, February 2005). The critically important insights of these works have been largely neglected, including subsequently by their own authors. 5. The MEK have been widely described as “cult-like,” but perhaps this is because, as former participants in the Islamic Revolution, in their state of betrayal they focus so much animus on the cult-like character of the Islamic Republic itself; the official term used by the Khomeiniite state for the MEK is “Hypocrites” (Monafeqin), expressing their shared Islamist roots in the 1979 Revolution. But the success of the MEK over Khomeini would have hardly been better, and might have indeed been much worse. Khomeini’s opportunism and practical cynicism in consolidating the Islamic Revolution might have not only produced but also prevented abominable excesses of “revolutionary” Islamism. 6. See, for instance, Sean Penn, Ross Mirkarimi and Reese Erlich, “Support Iranians, not U.S. Intervention,” CommonDreams.org, July 21. What both the Spartacists and Postone are unable to address, however, is why neither of their perspectives, which purported to grasp the problem of capital more deeply and in broader historical context than others in the post-1960s New Left, found virtually no adherents. If we in Platypus say that both the Spartacists and Postone are correct, but both fail to adequately account for their own forms of consciousness, this raises an interesting paradox that points back to issues of historical interpretation for the Spartacists and Postone’s points of departure, namely, Bolshevism as revolutionary Marxism, and Marx’s own Marxism. THE PRESENT CRISIS has prompted numerous calls for a reconsideration of “socialism” and even for a return to Marx. It seems to augur fundamental changes, changes met with no less fear than desire. We in Platypus have anticipated, since our inception in 2006, the possibility of a “return to Marx,” and have sought to inform the terms in which this might take place. We have sought the re-opening of historical issues on the Left with the intention of their fundamental recon­sideration, taking nothing for granted, so that we could definitively close the books on stale “debates” in which the “Left” has remained stuck for more than a genera­tion, since at least the 1960s. Given the confusion reign­ing on the “Left” today, the urgency for this is evident. The election of President Obama is being regarded as an ambivalent phenomenon in this respect: On the one hand, Obama is saddled with responsibility of resolv­ing the crisis merely in order to restore some status quo ante, whether this is conceived as the 1990s heyday of Clintonism, before George W. Bush messed things up, or the post-WWII welfare state of the Roosevelt to Nixon years. On the other hand, Obama’s election is taken to express or indicate the possibility for more radical change, towards which his administration might be pushed. But perhaps neither response to Obama is appropriate. Such prognostication ignores the history of transformations in capitalism, of which the present crisis might be only the latest occasion. To grasp the stakes of the present, we need to antici­pate potential changes, rather than simply getting swept up in them. We need, paradoxically, to try to remain “ahead of the curve,” precisely because, like everyone else, we are conditioned by and subject to forces beyond our control. For what is missing is any agency adequate to intervening against capital (or, more accurately, to intervening from within its unfolding process) with more democratic results. The historical forces currently at work are beyond anyone’s, including Obama’s, control. However, the danger that the crisis presents is worse than this, which is, after all, the persistent characteristic of capital. The danger lies rather in the illusion that because of the economic crisis the workings of capital, which before had remained hidden, have now somehow revealed themselves to plain view. To grasp such workings requires more than experience. It requires us to attend to the vicissitudes in the history of theory, to distinguish affirmations and apologetics from critical recognitions. The fate of Michel Foucault’s critique of modern soci­ety in the mid-20th century, during its last third and the first decade of the 21st century, can tell us a great deal about both the historical changes since the 1960s–70s “New Left” and the high 20th century social-political forms against which Foucault’s critique was directed. Foucault’s work of the 1960s–70s retains great cur­rency in our time because it expresses discontent in a form that can find affirmation in the transformed society that came after its initial formulation and publication. Foucault’s work was susceptible to being transformed from critique into affirmation and even common sense. This fact alone tells us a great deal about the historical changes with which Foucault’s work is bound up. If Foucault’s work was expressive of forms of discon­tent that helped give rise to post-Fordist, neo-liberal capitalism since the 1970s, if the re-found “anarchism” with which his work has such great affinity has become the predominant form of radical social-political discon­tent on the supposed “Left,” this is because Foucault’s critique inadequately grasped its object, the Fordist capitalism of the mid-20th century. Consequently, when we read Foucault now, his work tells us — and affirms us in — what we already know. Only rarely, and, so to speak, despite itself, does it task us in the present. Only rarely does it help us to separate the critical from the affirma­tive, so that the one is not smuggled in under cover of the other. Hence, the question necessarily arises: Does Foucault’s work actually challenge us? Or does it merely entertain? The “New Left” in the 1960s–70s thought it was rebel­ling against capitalism, and thought it was doing so more profoundly than the preceding “Old” Left was able to do. But now it is difficult to deny that it was responding to one particular form of capitalism, one already in the pro­cess of dissolution. The New Left did not reach deeply enough to affect much of the subsequent transforma­tion of capitalism in the 1980s–90s, but it did serve to legitimize the replacement of what had grown obsolete. We read and accept, e.g., Foucault’s work, though we no longer have Fordist capitalism to critique. What we have instead is post-Fordism, of which Foucault’s work and other New Left thinking has become apologetic. 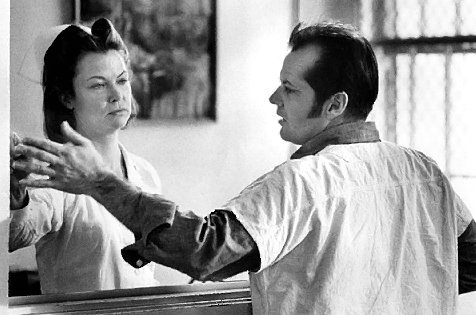 If we find affirmation in Foucault, it is because we have long since flown the cuckoo’s nest of Fordist capital and are no longer in the care of Nurse Ratched. By contrast with theories such as Foucault’s, Marx’s critical theory of capital has come up for repeated reconsideration since its origins in the mid-19th century, and will continue to do so, so long as capitalism as Marx understood it continues to exist. The other social thinkers whose work remain subject to such reconsid­eration — whose thought continues to haunt us in the present — are those bound up in the historical trajectory from which Marx’s thought emerged, those that predate, are roughly contemporaneous with, or are immediately successive to Marx, such as Rousseau, Adam Smith, Kant, Hegel, Nietzsche and Freud. Beyond these, the thinkers after Marx who primarily claim our interest are those who most rigorously pursue the Marxian prob­lematic, such as Lenin, Luxemburg, Trotsky, Lukács, Benjamin and Adorno. This is because, like Marx, the best 20th century Marxists were able to perceive and grasp both the most fundamental, perennial historical problems of life in capital as well as the problems of the struggle to overcome them. The recurrent “return to Marx” is thus a feature of our objective social life and will remain so. 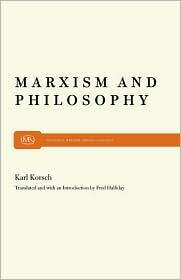 There is a reason why Marx does not fade as other thinkers do. In his important 1989 work The Condition of Post­modernity, David Harvey provided an excellent account of how transformations of capitalism do not leave old forms entirely behind, but rather reconstitute them. For instance, Harvey argues convincingly that the form of capitalism that emerges after 1973 ought to be under­stood as post-Fordist, as the transformation of Fordism rather than its overcoming, just as 20th century Fordism was a transformation of the preceding, 19th century “liberal” form of capital. So the present crisis of post-Fordist/”neo-liberal” capitalism points not to the end of neo-liberalism, but rather to its transformed continuation. We will be mov­ing into a period in which are accumulated and recon­figured the historical legacies of all previous periods of capitalism: the liberal one of the mid- to late 19th century; the era of monopoly capitalism and imperial­ism of the late 19th to the early 20th century; the Fordist era of the high/middle 20th century; and the neo-liberal era of the late 20th century. The question is whether this compounding of the problems of capitalism since Marx’s time makes it more politically and theoretically intractable. Preceding forms of discontent with capitalism histori­cally found their expression (however uncertainly) on the Left, and these were transformed along with capitalism itself. The history of the Left is thus closely bound up with changes in the problem it has sought to overcome since the mid-19th century. The exhaustion and underly­ing despair of the “Left” today can be traced to its be­coming lost in a tangle of seemingly insoluble problems that have accumulated since Marx’s time. None of the problems raised in the history of preceding generations of the Left have been successfully worked through. All continue to haunt us. What makes the present transformation of capital­ism very different from preceding ones, however, is the absence of a Left, an absence that points to a problem of consciousness. If we are haunted by the past, this is largely in a repressed way. By treating the past as “an­cient history” we proclaim it to be no longer relevant. For this very reason, it is unclear whether and to what extent the problems of contemporary capitalism have been brought to conscious recognition. While every historical crisis in capitalism has been met with (premature) announcements of its demise (whether welcomed or regretted), a history of the Left’s conception of capitalism can help us understand the changes that capitalism has undergone. Specifically, such a history would tell us how acutely (or not) the problem of capitalism and its potential overcoming have been grasped on the Left historically, and this, in turn, would help to reveal lingering theoretical problems. By helping us to better grasp the problem of capitalism, we could better understand how it has survived up to now. Whereas prior periods provided the Left with a rich symptomology that could be critically interrogated and thereby advanced, the pathologies we must work through today threaten to be entirely phantasmal. We might be left in coming years wondering why anyone ever made such a great fuss about “credit default swaps” and the like. The sufferings of the present might strike future considerations of them as having been quaint. Originally published in The Platypus Review #12 (May 2009). 1. For instance, see: Jon Meacham and Evan Thomas, “We Are All Socialists Now” in Newsweek February 16, 2009; and the on-going forum on “Reimagining socialism” in The Nation, with contributions by Michael Albert, Tariq Ali, Barbara Ehrenreich and Bill Fletcher, Jr., Doug Henwood, Christian Parenti, Robert Pollin, Rebecca Solnit, Immanuel Wallerstein, et al., beginning in the March 23, 2009 edition with Ehrenreich and Fletcher’s article “Rising to the Occasion.” See also my letter in response, published in the April 20, 2009 edition, on the relation of Marx­ism to reality, utopia and the necessity for revolution. 2. See, for instance, recent Nobel Laureate in economics Paul Krugman’s “loyal opposition” — supposedly from the “Left” — to the Obama administration’s policies, signaled by a New York Times op-ed column on how the policies were slipping “Behind the Curve” (March 8, 2009), followed by another column, “Conscience of a Liberal” (March 21, 2009) and the Newsweek cover story on Krugman by Evan Thomas, “Obama’s Nobel Headache” (March 28, 2009). 3. See, for instance, Madness and Civilization: A History of Insanity in the Age of Reason (1961), The Birth of the Clinic: An Archaeology of Medical Perception (1963), The Order of Things: An Archaeology of the Human Sciences (1966), The Archaeology of Knowledge (1971) and Discipline and Punish: The Birth of the Prison (1975). 4. Harvey’s more recent work, beginning at least with The New Imperialism (2003), up to and including his recent essay published in the Platypus Review 11 (March 2009), “Why the U.S. Stimulus Package is Bound to Fail,” has become more ambigu­ous if not incoherent, politically. He has therefore fallen below the threshold of the insight of his earlier work, which recognized the pitfalls of the nostalgia for Fordist capitalism that his more recent work evinces. This nostalgia is apparent in Harvey’s call, like others on the “Left” in the grip of the memory of the 1930s–40s, for a “new New Deal.” On the other hand, Harvey repeats standard post-1960s warnings about supposed imperial “decline” that have proven unwarranted through the several cri­ses the U.S. has weathered successfully since the Vietnam War debacle and the collapse of the post-World War II Bretton Woods system under Nixon. Barbara Ehrenreich and Bill Fletcher Jr.’s article, and the forum in reply, exhibit a glaring disparity between the breadth and depth of the crisis and the timidity of response, in particular Robert Pollin’s reversal of the 1960s-era slogan “Be realistic, demand the impossible!” to “Be utopian, demand the realistic” to push Obama’s reforms further. There was an earlier formulation of reality and utopia by C. Wright Mills in his 1960 “Letter to the New Left,” the injunction that any purported left “be realistic in our utopianism.” After the 1950s declaration of the “end of ideology,” Mills recognized that the only realistic possibility of political responsibility was in the “utopian” and frankly “ideological” program of socialism, which Ehrenreich and Fletcher treat as the dirty S-word. Mills warned that socialism needed to be reinvented, on the basis of the best of the Marxist tradition. He enjoined his readers to “forget Victorian Marxism” and “re-read Lenin and Luxemburg” and recall what socialism once meant. But we now have a rehash of the worst of socialism. The global problems of capitalism will not find solutions derived from Lula’s Brazil or Chávez’s Venezuela, 1970s-’80s Swedish policies, takeovers of closed factories in Argentina or community gardens in Detroit’s emptied lots. Mills called such perspectives the politically irresponsible combination of “liberal rhetoric and conservative default” in the ongoing absence of a true left. While there are much worse things than living under the Swedish welfare state or eating homegrown vegetables, this is not a realistic prospect for saving the majority of the world’s people, or even the majority of Americans, from the ravages of capitalism. When Christian Parenti–-who, with Liza Featherstone and Doug Henwood, wrote a fine critique of “Left anti-intellectualism” in Action Will Be Taken, invoking Adorno’s critique of unthinking “actionism”–-notes the virtue of Marxism so even a semiliterate Indian public could grasp the dynamics of international capitalism better than their US counterparts, we have arrived at the reversal of Marx’s 11th Thesis on Feuerbach, that hitherto we have tried only to understand the world, while the point is to change it.